It's inconvenient for politicians, who've spent decades promising age pension cheques their fiscal competence can't cash. But, together with sharemarket volatility during the GFC, it's been a boon for those selling lifetime annuities. What's a lifetime annuity? At its core it's a product where you pay a lump sum upfront and, in return, receive an agreed periodic payment for the rest of your life (some also come with inflation protection). This means you don't need to judge how long you'll live to avoid running out of money. If you buy an annuity that pays you $25,000 a year, you'll get it year in, year out, even if you're the first person to live to 125. They're a good deal if you live to a ripe old age, although there are trade-offs. First, there's no capital payout if you die early (although some offer a partial capital payout in the first fifteen years). Second, you get paid a poor rate of return. 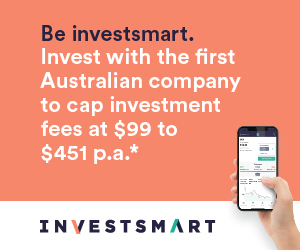 One Australian annuity issuer currently offers 65-year old males a guaranteed payment of 5.6% per annum for a lifetime investment. That sounds okay but each payment includes a partial repayment of your original investment. If you live another thirty years, the rate of return is 3.7% per annum. If banks offered thirty-year term deposits (giving us an apples and apples comparison) they'd probably pay 6% per annum or more. So you're earning about half bank rates. Compared with some of the investments in Super Advisor's model portfolios, Platinum International Fund has returned 13% since inception, Ganes Value Growth Fund 8%, whilst the Colonial Global Listed Infrastructure Fund has returned 7%. There's no guarantee these results will continue but they give an idea of how much in potential returns you're trading off by locking into a lifetime annuity. That doesn't mean they should be avoided; just remember that annuities are really a form of insurance (against living too long) and, like your home, car or income protection, insurance comes at a substantial cost. Remember also that you're banking on receiving payments over many decades, which carries a lot more credit risk than a five-year term deposit. The two main issuers of annuities – Comminsure and Challenger – are regulated, with decent credit ratings. But if the assets they've invested your annuity money in turn out to be duds and people live far longer than they expect it could get interesting. For some people it will make sense to lock in a 'base' level of income for life, especially as governments appear more interested in cutting, than improving, support for the elderly. But don't go overboard. One of the best ways to guard against longevity risk is by earning decent returns and letting the power of compound interest do its work over the years and decades. You won't get that from a lifetime annuity.